As we find ourselves in the middle of 2016, it's easy to think of the daily headlines of terrorist attacks both home and abroad, as well as presidential candidates that are creating stress for a substantial amount of the U.S. population. But, don't worry...relax. Never has there been a better time to unwind from all of the craziness. This craziness brings on constant mental turmoil. 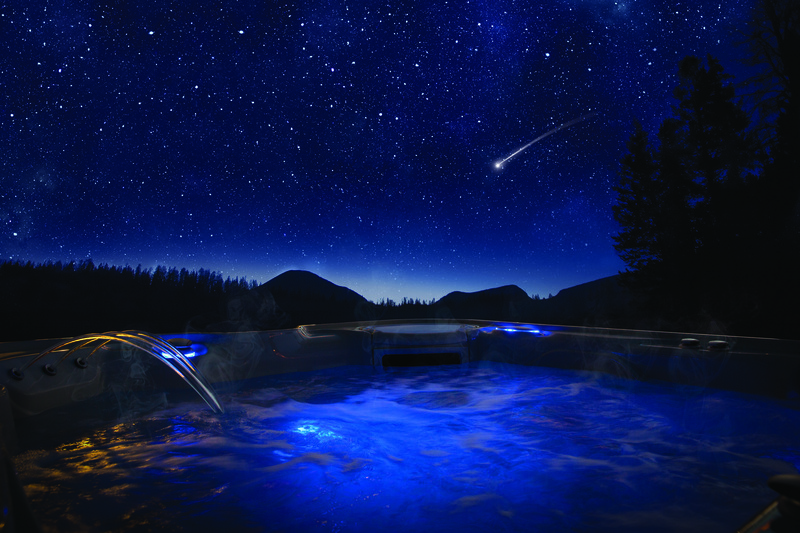 If we think about it, most hot tubbing is done at night. In the middle of summer, like right now. It’s simply too warm to soak outdoors in the middle of the day. And in the winter, nights are long, so our chances of taking a dip in the dark are that much greater. So…switch things up and leave the lights off next time you dip in your Hot Spring or Caldera spa. You’re already in nature if you’re outdoors! Hot Spring Spas designs the only hot tub that filters and heats in complete silence (as long as you leave jets off). Shut those eyes. Allow the stillness and water to revitalize you. Allow gratitude and a sense of peace to flow into your mind. It’s never been better! There’s simply nothing like it. For more information on IHT hot tubs, go to ihtspas.com. Many thanks to our friends at Olympic Hot Tub in Washington for inspiring this post!